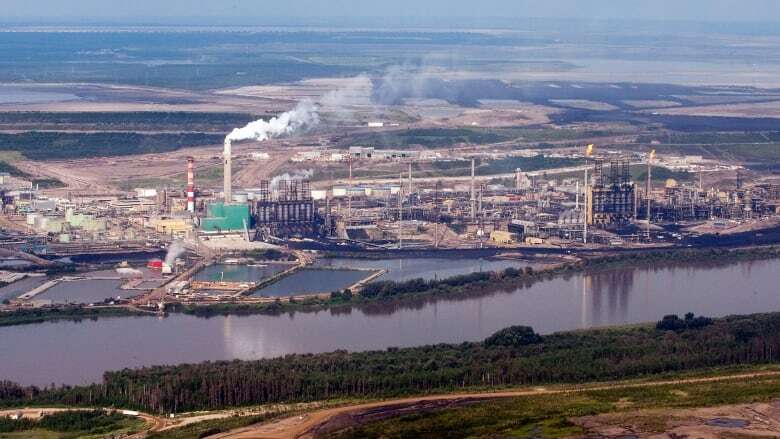 The environmental arm of NAFTA is demanding Canada explain what it is doing to stop oilsands tailings ponds from leaking into Alberta waterways. The request comes in a decision by the Commission for Environmental Co-operation, created in a parallel agreement to NAFTA. The environmental arm of NAFTA is demanding Canada explain what it is doing to stop oilsands tailings ponds from leaking into Alberta waterways. The request comes in a decision by the Commission for Environmental Co-operation, which oversees the environmental pact Canada, the United States and Mexico signed as a parallel agreement to NAFTA. Canada has until Sept. 28 to officially respond to allegations it is failing to enforce the Fisheries Act by allowing contaminants from the ponds to leak into water without forcing the companies involved to fix the problem. The complaint was made in June by Canada's Environmental Defence group and the Natural Resources Defense Council based in the United States. Environmental Defence executive director Tim Gray says studies have suggested as much as 11 million litres of tailings water containing substances like benzene, arsenic and cyanide leaks into the Athabasca River every day. The government's response will be studied by a commission panel made up of members from the three countries. If they decide Canada is violating the law, Gray says the next step would be to go to court to force Canada to act.